UNIMICRO will attend P-MEC (concurrent exhibition with CPhI china) in Shanghai New Int'l Expo Centre (SNIEC), Shanghai, China. Exhibition content: Evaporative Light Scattering Detector (ELSD), High Performance Liquid Chromatography (HPLC), Automatic Quantitive Capillary Electrophoresis (qCE), Pressurized Capillary Electrochromatography (pCEC), columns, etc.. 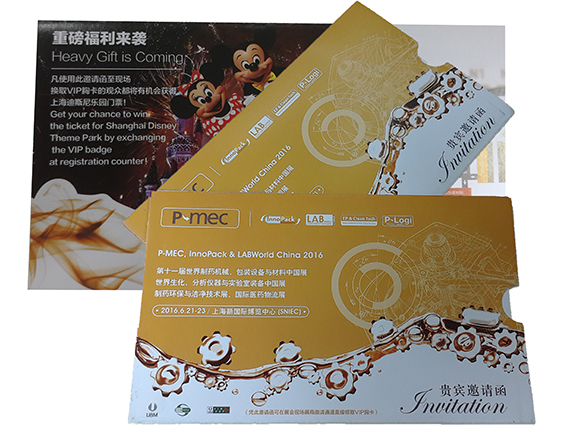 Contact us for the VIP invitation, get a chance to exchange the ticket for Shanghai Disney.